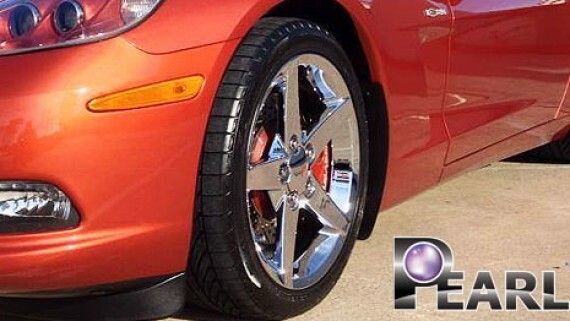 The ultimate exterior cleaning & detailing solution: clean, refresh, shine & protect in one. Water-based, environmentally friendly product, contains no harsh chemicals or abrasives which could damage paintwork and trim. 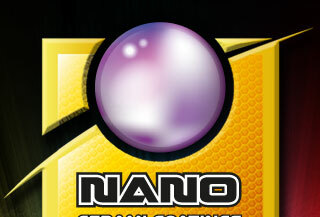 Unique formula contains an advanced blend of surfactants, polymers, carnauba and the latest Nano technology waxes. Advanced Ultra-Nano releases and suspends dirt and grime from all exterior surfaces to create a superb showroom, ‘just waxed’ finish. 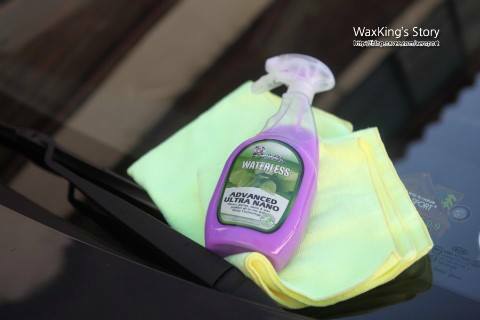 Nano wax technology creates a mirror-gloss finish with added UV protection and repels water & dirt build-up for easy repeat cleaning. Available in ready-to-use and super concentrate formulations. Ensure concentrate is mixed thoroughly prior to dilution. Dilute 1 part concentrate with 9 parts water (1:9) and mix thoroughly before use. E.g. 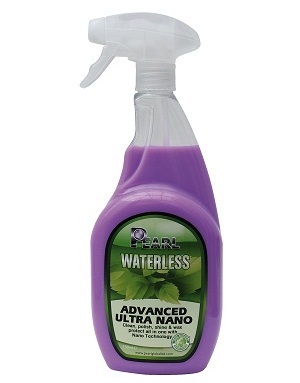 1L of Advanced Ultra-Nano Concentrate makes 10L of ready-to-use product. Directions for ready-to-use product: Shake well before use. 1. Mist spray of Advanced Ultra Nano onto a folded microfiber cloth and onto the surface area to be cleaned. 3. Using a second clean folded microfibre cloth, quickly, buff off the remaining residue to impart a deep gloss wax protected shine. Replace cloths if they become too soiled. Repeat process until the whole vehicle is clean, wax polished and Nano protected. Can be used in the sun, but for best results use in the shade out of direct sunlight. Can also be used on a wet or dry surface. 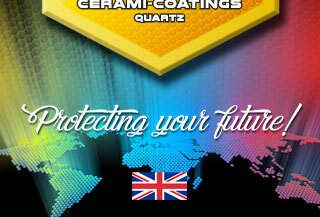 Do not use on heavily soiled surfaces with a build-up of mud, caked-on sand or any other abrasive materials. 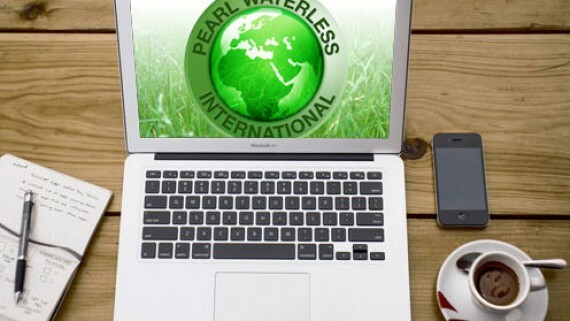 If you would like to purchase Pearl Advanced Ultra Nano products in bulk, please contact Sales@PearlGlobalLtd.com – Special pricing and the lowest possible shipping cost and arrangements are available upon request.